*Contains no yeast, corn, wheat, soy, milk, egg, salt, sugar, preservatives or fragrance. Recommended Daily Intake As food supplement take 2-4 capsules per day. Storage Store in a cool dry place. Avoid direct sunlight. Keep out of reach of children. Suppon was popularized as a gourmet cuisine by ancient Chinese emperors since 4,000 years ago. Nowadays, Suppon is still famous for its nutritious and therapeutic value, especially in China, Korea and Japan. Suppon is a Japanese edible freshwater soft-shelled turtle. It consists of the active components of amino acids, calcium, iron, unsaturated fatty acids, vitamins and minerals. 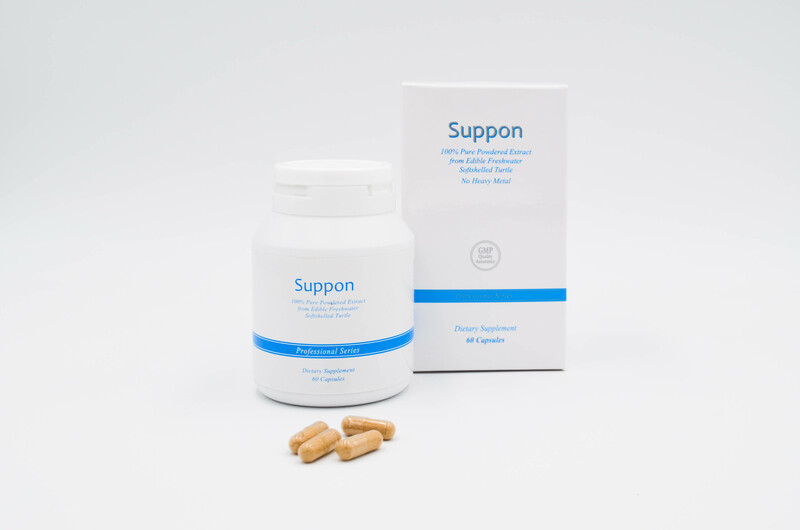 Suppon enhances one’s stamina and improves one’s overall vitality. Studies have suggested that regular consumption of Suppon and its extract may have many health benefits. It has the ability to enable one’s body to fight stress, improve on sexual performance, and help those who are convalescing by providing additional support in their recovery process. 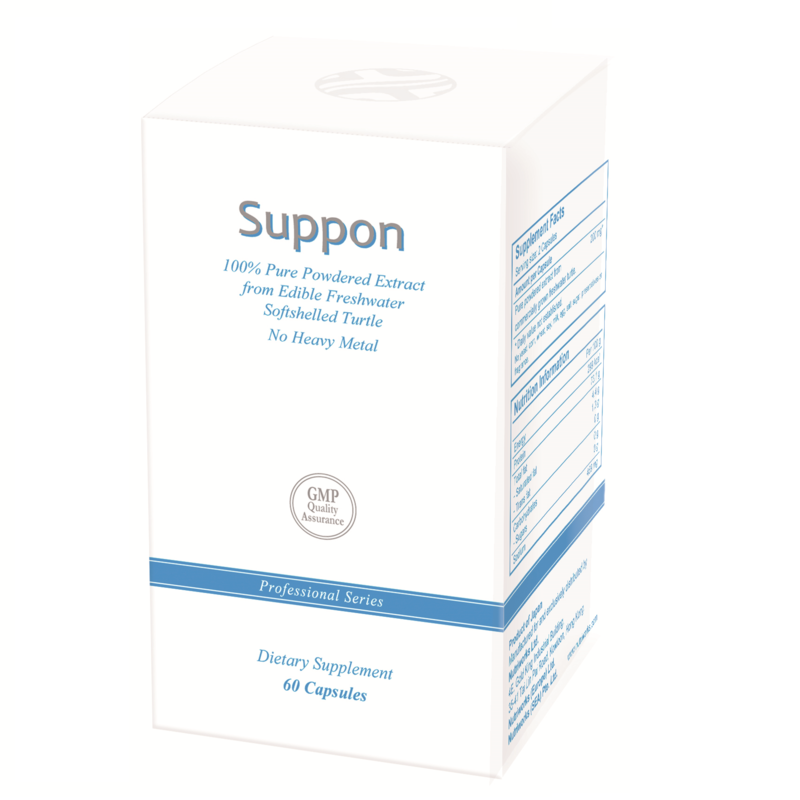 Furthermore, Suppon provides high quality proteins that keep the liver healthy and support the working abilities of stomach and intestine. It also consists of a high level of unsaturated fatty acids, which may be effective in preventing arterial sclerosis and regulating blood circulation. It provides calcium to bones as well as maintains the body’s chemical balance. It may also relieve headaches and shoulder discomfort. Aside from its health benefits, Suppon is suggested to assist in the cleansing of blood thereby reducing acne eruptions, thus suggesting that it may be a potential beauty aid for women.